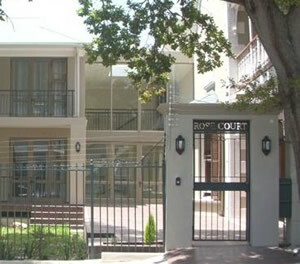 Rosecourt Foundation is made up of three group homes, Rosecourt House, Rosecourt Terrace and Vriende House. 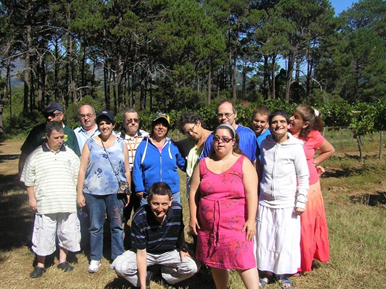 Our Group Homes provide supported accommodation for 26 Jewish adults with special needs, either intellectual disability and/or psychiatric illness. Our residents have the opportunity to develop independence, life skills and to enjoy social contact with their peers. This “home from home” offers them a place to experience the joy of living in a caring, nurturing and beautiful environment, and adds value to their daily lives. The homes are kosher and the residents get to celebrate all the festive holidays. Rosecourt Foundation formerly Roseccourt/Vriende consists of three houses: Rosecourt House, opened in 1986 provides accommodation for 10 residents. 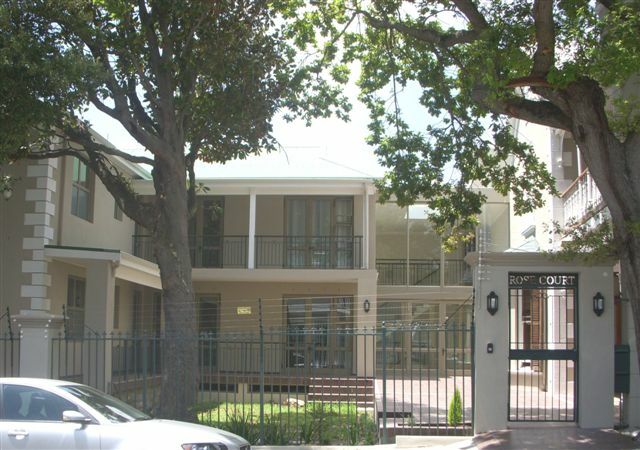 Vriende House, opened in 2000 provides accommodation for 8 residents. Rosecourt Terrace opened in March 2010 provides accommodation for 8 residents. The waiters greet you and introduce themselves. As several struggle with writing, the menu is accompanied by a pen and a form on which you fill in your own order. I found the interactions virtually normal and perfectly relaxed. One also had the gratifying thought of how the tables are turned here – since some of the waiters would probably be less enthusiastically welcomed in return if they went as patrons to certain restaurants in this city. Destigmatization and breeding familiarity is an important function of this kind of establishment. Breakfasts are the normal options (no bacon of course): muesli, yoghurt and stewed fruit compote or omelet's, scrambled and fried eggs with tomato and toast. For light meals there are sandwiches, salads, baked potatoes; and then there is a soup, quiche, and pasta of the day. The thick, traditional butternut broth I tried was quite fortifying. I doubt there is anything else like it in the world!!! The third house, Rosecourt Terrace, which was opened in March 2010, with the new residents "phased" in, to allow them the opportunity to settle in, with individual attention. These residents are all young people, leaving their family homes for the first time. They have the support of our consultant clinical psychologist, our resident social worker, as well as the house mother. The parents have also been offered support in the process of separation. The excitement is tangible, as this young group move into the most stunning accommodation imaginable. 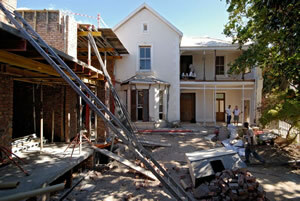 Each has their own room and bathroom, the building is brand new, having been completed at the end of 2009.